If you have a smartphone, then you have a wonderful tool to help you save even more money! There are numerous apps dedicated to saving. 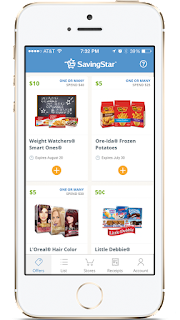 Whether they are mobile coupons, rebates or something else, they are all beneficial. 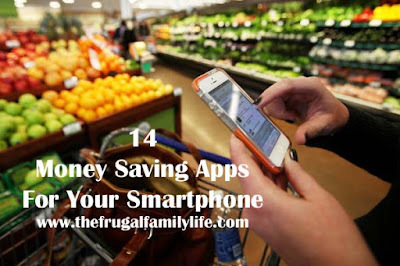 I’ve made a list of some of my very favorite money saving apps. I’m sure there are many more that I didn’t list, but this list is comprised of some that I use regularly and enjoy the most! ibotta is, in my opinion, one of the best. 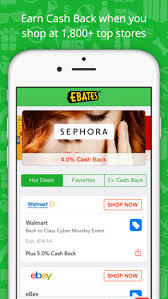 This app offers the most rebates which are available at several different retailers. You just choose the store you’ll be shopping at and then unlock the offers for the items you plan to buy. After your purchase, you simply scan the barcodes of the items and upload your receipt to claim your rebate. Once your balance reaches $20, you can request a payout. I usually select a payout through PayPal. However, you can also choose from dozens of gift cards such as Sam’s club, Olive Garden, GAP, Best Buy, Old Navy, Amazon, Papa John’s and many more. Another plus of Ibotta is that you can build a team (with all of your Facebook friends also using the ibotta app) and earn extra bonuses. And, you also get an extra bonus (sometimes $5, sometimes $10) when you download the app and redeem your first rebate. MobiSave is a newer money saving app. One positive of this one is that there are rebates for any brand of a certain item. For example, save 10 cents on any brand of Bacon. This makes it easy to get whatever brand you normally get and still save some extra change! MobiSave resets on Mondays. With this app, you have to check it before shopping. You’ll need to have the rebates already added to your cart before you checkout. MobiSave pays you immediately (yay! )– no need to save up until a certain threshold. The money goes straight into your PayPal account. Checkout51 has always been one of my favorites! They have several offers that change every Thursday. Each receipt submission must be purchased and submitted by midnight on Wednesdays, before the offers change. This app is great because every week you get to pick one produce item (from a list of five) that saves you 25¢. I also prefer this app because it doesn’t have specific retailers. You just simply upload your receipt from ANY retailer. This helps us in Ada where stores like Nichols and Apple Market are no included in most money saving apps lists of retailers. Request your payment via check, and you’ll receive it in the mail relatively quickly. The account threshold for payment is $20. I absolutely recommend this Amazon app! One of my favorite ways to use this app is when I’m out shopping. If I come across something I am thinking about purchasing, I like to pull out this app and double check the Amazon price. I compare it to the price I’m looking at in the store and if it’s cheaper on the Amazon app, I order it there instead. Since I have Prime, shipping is free! Berry Cart is a great app for those more focused on healthy eating styles. They have several options for vegetarian, vegan or organic/non-GMO food lovers. This app shows the restaurants offering cheap/free kids meals. Who goes out to eat with children and doesn’t look for kid’s meal deals! You definitely need to download this one! From the survey I offered on the blog a few days ago, I concluded that most of my readers shop at Walmart as their main store. If you are one of those readers and you don’t already have this app, you need to download it now! All you do is scan your receipt and it does all the work. 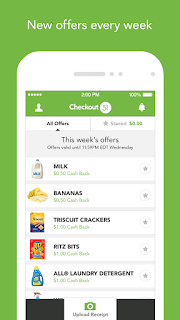 The app automatically price matches your receipt to other local receipts and finds the lowest price. If they find a price lower than the one you paid at Walmart, they will add the money back to your account! This money goes onto a virtual giftcard. 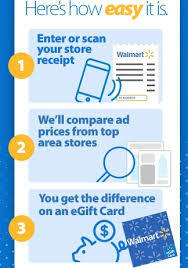 You can use this giftcard to pay for future shopping trips at Walmart! This app is a must-have. With Shopkick, you can get “kicks” for scanning items in the store. Just scan the barcode of certain items and you’ll earn kicks that you can use toward gift cards! Shopmium offers cash back at various retailers. One your rebate submission is approved, they will deposit the funds directly into your PayPal account. Use my referral code (YFKECAWX) and you’ll get a FREE Lindt Chocolate bar! This app offers cash back on various brands. When shopping, you’ll need to scan the barcode of the item you purchased, then upload a photo of your receipt within the app. The funds will be added to your account. You can then request payment via PayPal, Amazon or other gift cards. I have learned to always check Ebates when shopping online. This website is great because you earn cashback for making online purchases! The amounts vary, but you can earn anywhere from 1% to sometimes up to 15% on cashback purchases that you are making. 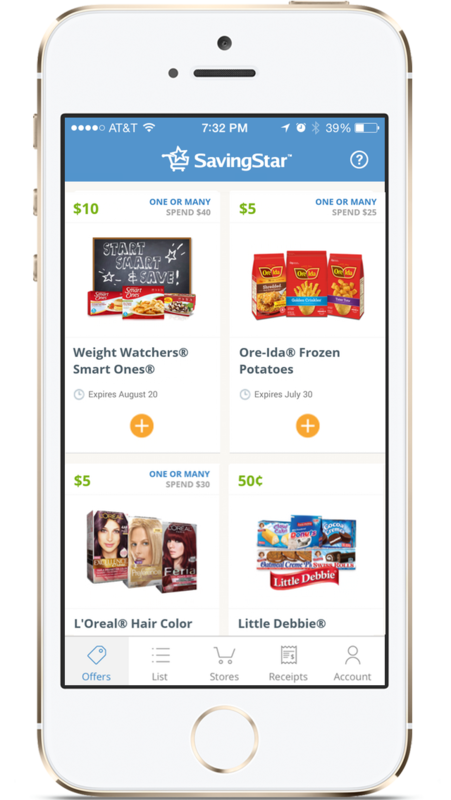 Download the app so you can use this when you shop online from your phone! I never purchase anything online without checking this website first! 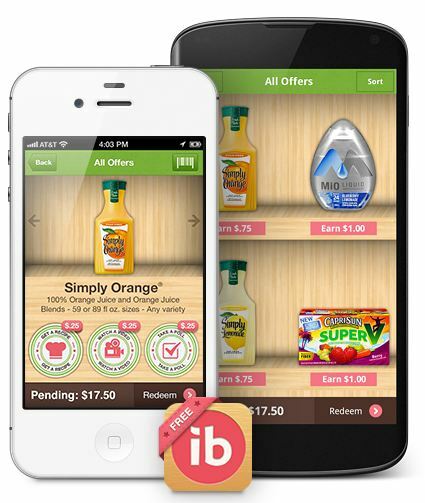 But, if you download the app you will be able to find in-store savings when you are out shopping as well! If you’re a military family, this app tells you which businesses and/or restaurants in your area offer military discounts! This app rewards you for scanning your receipts. You will earn coins for each receipt you submit, then you turn those coins into real cash. Just make sure to submit your receipt within 7 days of the purchase date.